In 2 weeks we will rebuild the walls of a 16m2 200-year old barn on its original rock foundation with door, windows, shelves, sculptures, niches and more, pour 2 layers of earthen floor, put on 2 coats of plaster, and possibly help to rebuild the roof with terra cotta tiles. You will learn to test soils and make test bricks to figure out the ideal mix ratio which we will use to mix cob and build. 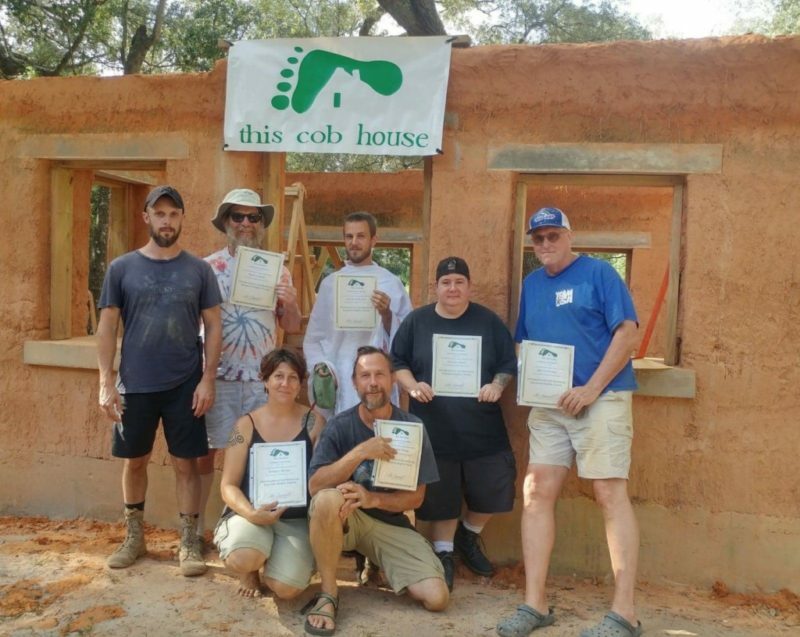 All aspects of building a cob structure from the beginning to the roof will be covered in lectures, hands-on work, discussions, slides, and videos. The cob renovation will be the first model of its kind for this area. The workshop will be held in the beautiful central Auvergne French village of Sauxillanges, 6 miles from the larger town of Issoire, 30 miles from the city of Clermont-Ferrand and 275 miles south of Paris. Clermont-Ferrand has an airport where the hosts will be happy to pick students up on the 6th and 7th of August for a small fee. Equally train transport can bring you to Issoire, where the hosts can easily pick you up. Those arriving in Clermont-Ferrand can take a train to Issoire. Also there is the BlaBla car website with which rides can usually be found to Clermont-Ferrand and possibly even to Issoire. European students coming from various areas may also be able to offer rides. Nicole’s property boasts a beautiful 1900’s country French manor with a tower, a large and beautiful remodeled barn where participants will sleep, eat, take yoga class, participate in lectures, discussions, and other activities. Sheep and chickens run freely in the gorgeous green and lush landscape typical of the French countryside. Sunday, August 14 will be a day off so students are free from Saturday August 13 at 5pm through Monday morning August 15. Sheena was born in Tokyo, Japan and grew up in Scotland, upstate New York and Santa Cruz, California. She spent her childhood living on a community farm playing outdoors, swimming in the ocean, gardening, milking cows and dancing around barefoot and freely. Uprooting every few years and moving around so much formed her deep passion for traveling and connecting with people of different cultures around the world. Sheena is a bhakti-flow vinyasa yoga teacher and massage therapist. She was trained in Bali, Indonesia in Esalen Massage, which is known for its healing and nurturing touch. She combines long and flowy strokes, gentle rocking, stretching, and sculpting of deep musculature. 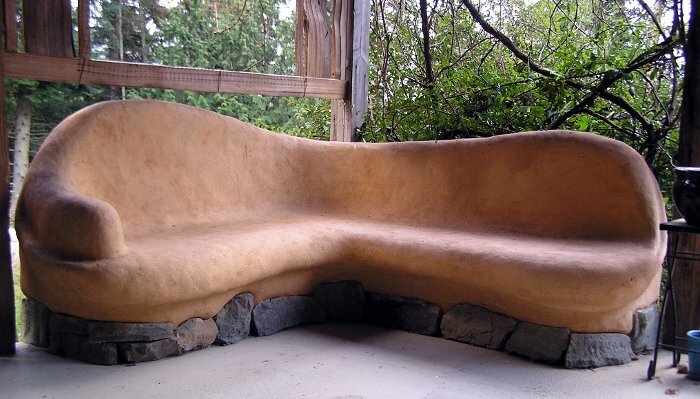 Esalen goes beyond the physical result of bodywork by focusing on energy exchange and psychological well-being. Sheena is passionate about the healing arts believes in the natural ability of the body and mind to self-heal and wants to support others in awakening inner resources for healing. In 2014, Sheena traveled to India where she embarked on a soul searching journey. During this time she decided to dedicate her life to health, wellness and the healing arts. She soon after left her busy life in Tokyo, moving to San Francisco and completing her yoga teacher training at Yogatree, SF. Sheena believes in the connection of mind, body and spirit, integrating breath work, alignment and a soulful flow into her classes. 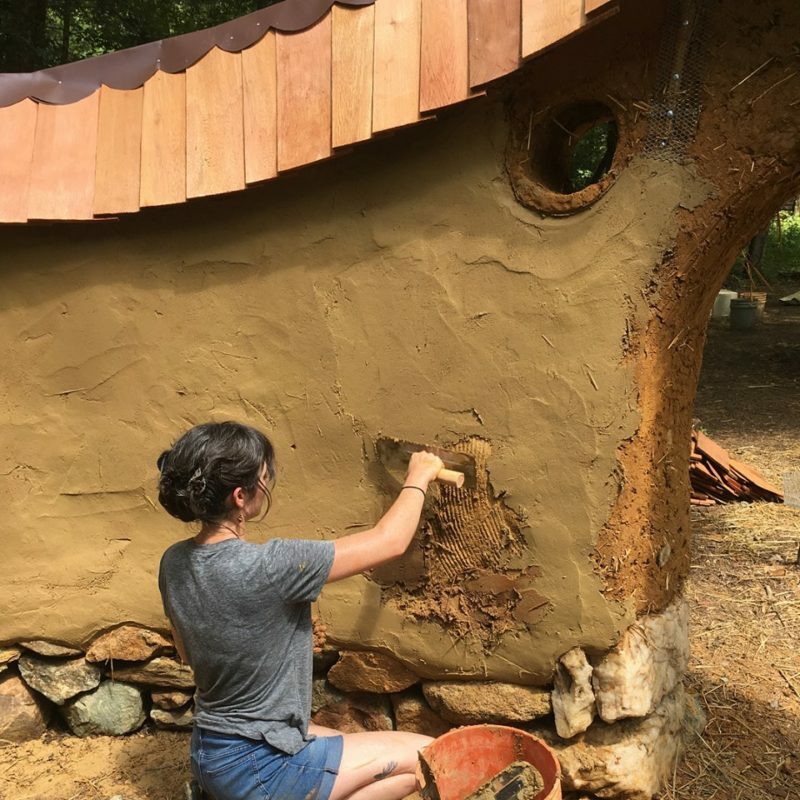 The fee for the workshop is US$1000 for 2 weeks, which includes instruction, yoga once a day, 3 delicious vegetarian, locally-sourced and as-organic-as-possible meals prepared by Nicole, and lodging in the barn in an open space on mattresses provided or camping in your tent. Students are asked to bring their own sheets, pillows and towels if possible. For those that want more privacy they can bring their own tents or rent rooms nearby for an additional fee. Students should book as soon as possible to guarantee a place in the course. There is room for 15 participants. Payment can be made by deposit into a Bank of America account (US students), or using Paypal, Venmo (no fees) or Western Union (bank account to bank account has minimal fees) or to Nicole. There will be no refund after July 8th. 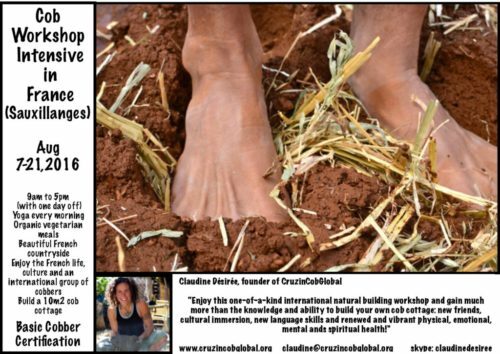 Please contact Claudine to make your payment and register for the workshop. Students, Couples, families and friends who come together receive a discount. Some work trade available upon request.